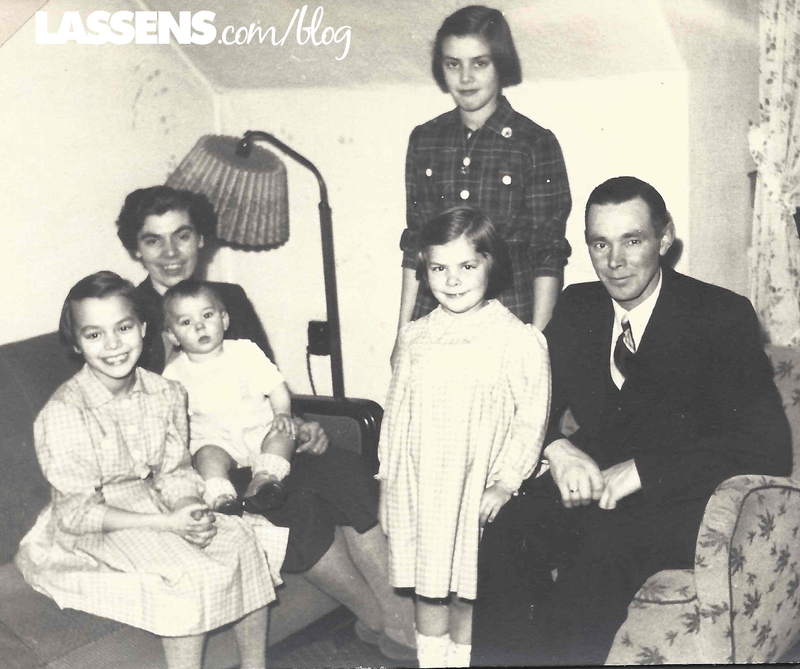 The end of World War II was a huge relief to the Lassens and to all of Denmark. They were able to relax a little and resume their lives. They had another little girl, Doris, and Hilmar started a business making, repairing, and selling canvas tarps. When we visited last in 2000, This courtyard still looked pretty much the same as it did in the 1940s, as in this photo. Hilmar, with oldest daughter Birthe (“Bee”), is showing off his foot pedal (treadle) sewing machine! Oda was always a people person. She made friends easily and nurtured those friendships. 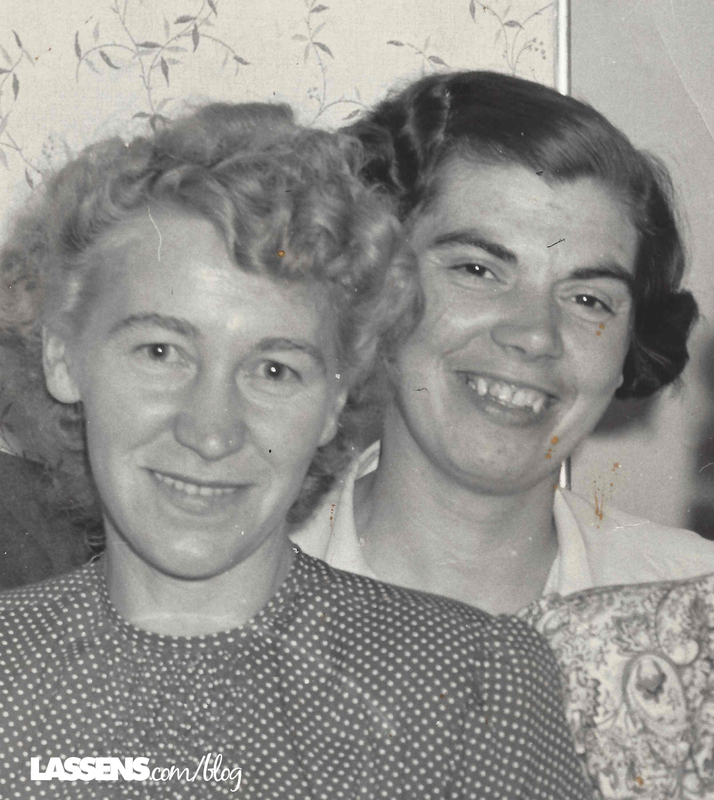 This is a photo with her friend Gerda soon after they met in the late 1940s. Gerda often talked about how they met and always praised Oda for how kind and helpful she always was to her and her children. After they both came to America, they would visit one another as often as possible, even though Gerda lived hundreds of miles away. They wrote letters and talked on the phone often. Oda and Gerda remained friends until Gerda’s death in the early 2000s. I never asked Oda about this photograph, but I love how she and the girls were all dressed up. Maybe they were going to church on a gloomy overcast day! 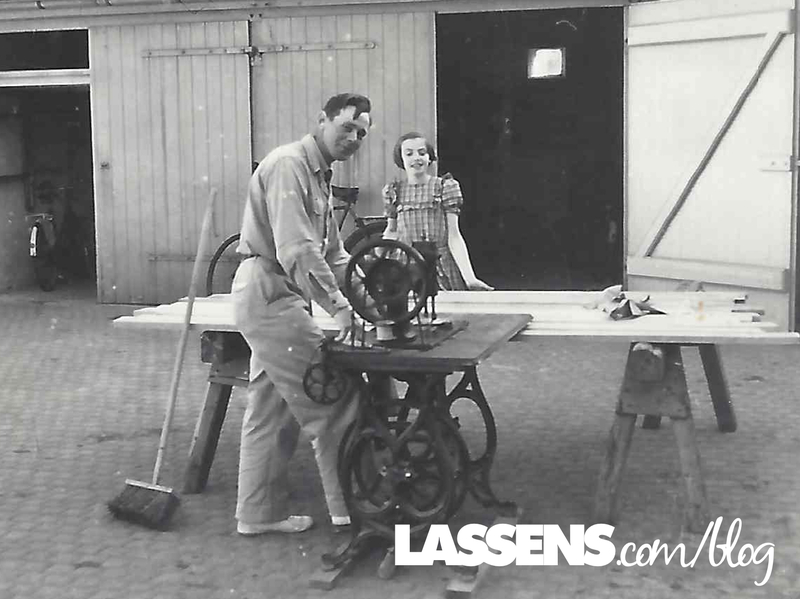 In December of 1950, the Lassen’s welcomed their first son into the family, John. The family is still amazed that petite Oda was able to give birth to a 12-lb baby! To the annoyance of several members of the family, Oda said that he was her prettiest baby. I love everything about this photograph. The girls’matching dresses, their expressions — from pensive or shy to posing, Oda’s quiet confidence, and John’s little raised eyebrows. Even though things were much better in Denmark than during the war years, there were still worries. Oda told me that one of the factors that they took into consideration when contemplating coming to America, was that the Soviet Union was so close to Denmark. She said that she felt real fear of a Soviet invasion. So when John was just a baby, they made the decision to immigrate to America. They found a sponsor — the father of a church friend — who was willing to vouch for the family. They started to sell most of their belongings and got ready to uproot everything that they had ever known. They thought it unlikely that they would ever see Denmark or their families again. 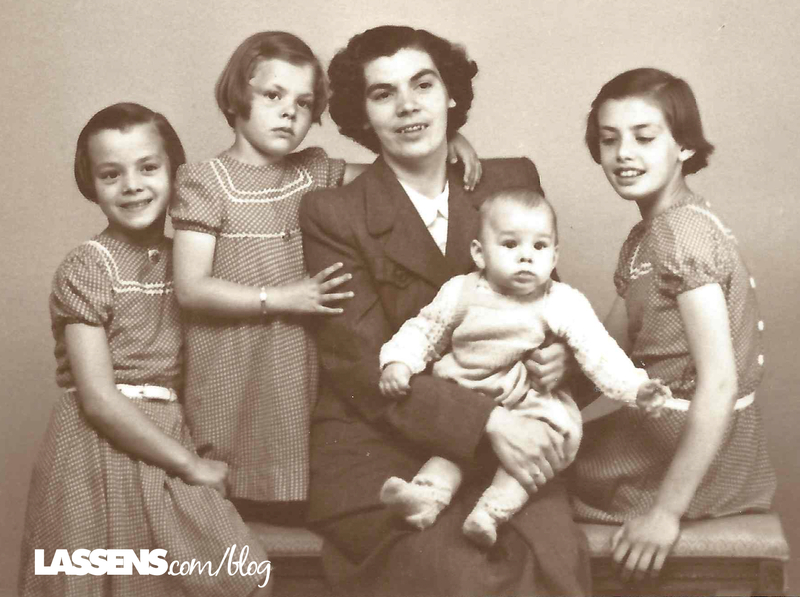 Doris was just five years old when they immigrated, but she remembers selling their furniture, toys, and dishes in order to have enough money to purchase passage on a ship. They travelled to Copenhagen to receive their passports and other documents, as well as to go through the screening and interviews needed. When the photographer came to their apartment to take their passport photos, he also took a few extra pictures. John was just shy of a year old, and the photographer caught him taking his first steps! Here is one of the entire family. 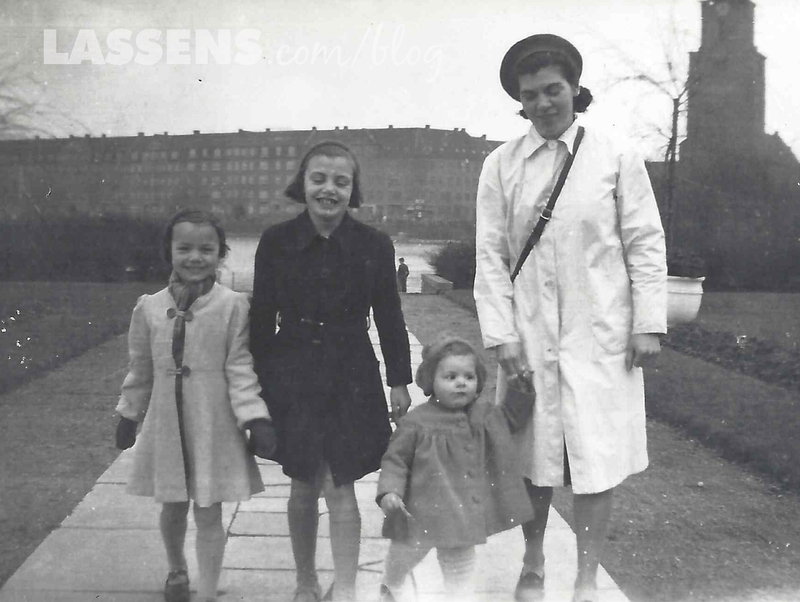 From the left, Ida, Oda with John, Doris standing in front of Bee, and Hilmar. They packed all of their belongings into a trunk and two suitcases and had fifty dollars in cash. 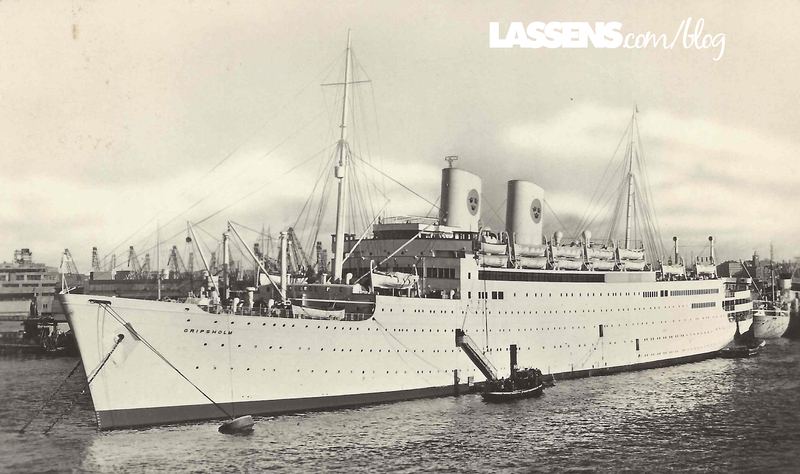 In December of 1951, they visited their families for the last time, waved goodbye, and boarded the ship Gripsholm, headed for New York. This is a postcard that Hilmar sent to his father. It was given back to him after his father died. Hilmar always liked to say that he carried John across the Atlantic ocean. John, who had just begun to walk, did not like the moving deck of the ship and refused to be put on his feet. There are many more stories of their travels as they made their way from Denmark to New York City, and then across America by bus to the west. Within a few months they were in California, where Hilmar got a job working as a bricklayer’s assistant. All along the way, they gathered their courage when times were tough, as they were for quite a few years. None of them really knew any English, and that alone was daunting. But they took lessons and practiced, and the older girls went to school and helped everyone learn. 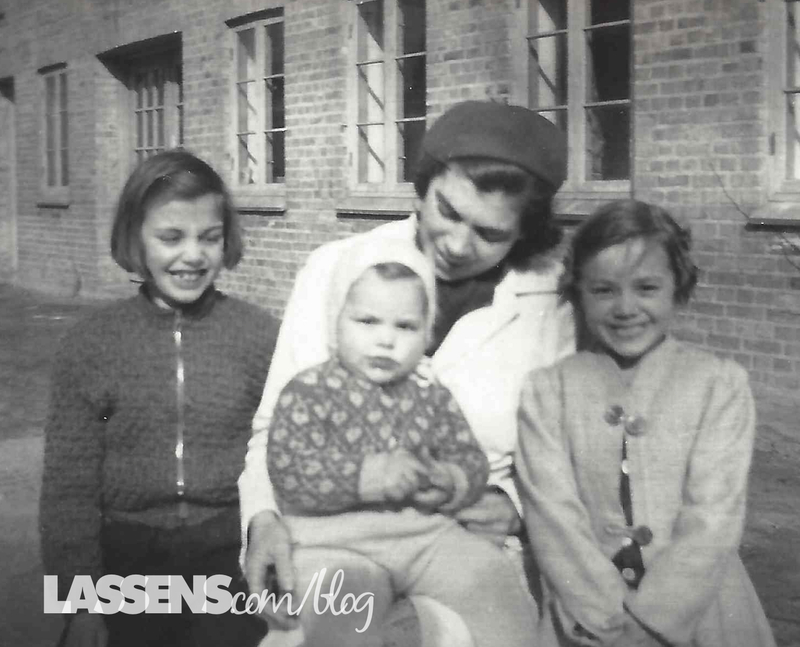 The Lassen family has a strong heritage of grit and drive, and nowhere can that been seen better than in their courage as they immigrated to a new country. We strive to have that grit and drive in our business, too, and to always remember our roots!